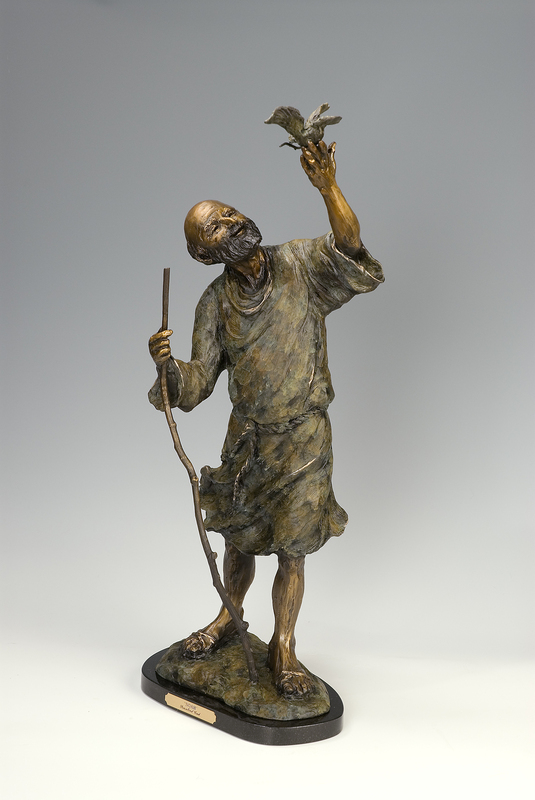 A joyful old Noah with the dove on his outstretched hand. Here you see a joyful, old Noah with his staff in one hand. The other hand is outstretched to receive the dove with the olive branch. My first Noah of many years ago sold out quickly and I have received frequent calls requesting a new Noah. This Noah II has some similarities but has a larger presence and uniqueness while still telling the Biblical story of a promise fulfilled.